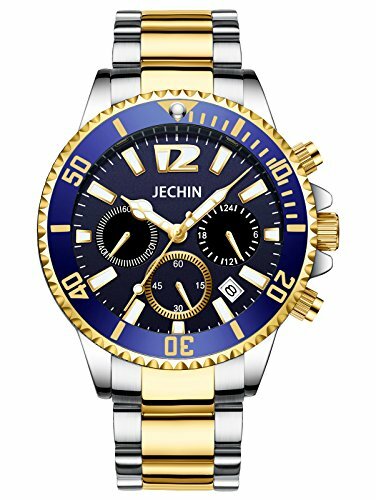 JECHIN comes from swiss sailing precision instrument manufacture, founded in 1989.Initial brand business limits in sailing precision instrument manufacture,but since 1996,JECHIN worked with Hongkong Company, applied the skill to the watch manufature, began working on watch filed. JECHIN expanded Chinese market in 2008, sold in B2C and main cities around the world, relied on precise craft, specialized for urban white-collars and business people. As an high-end watch brand, for years JECHIN won trust and love from the masses of customers with the principle of high precision, high quality, low price.Moreover, Jechin attracts new elements from many brands,with sailing precision instrument manufacture and the background of precision manufacturing capabilities, to always stay high quality, gradually becomes outstanding in the watch filed. If you have any questions about this product by Jechin, contact us by completing and submitting the form below. If you are looking for a specif part number, please include it with your message.